I have never worked with woodwork and I am very interested in starting to create my first pieces. Anyway, there is one piece that I have no idea how to do this circular groove. 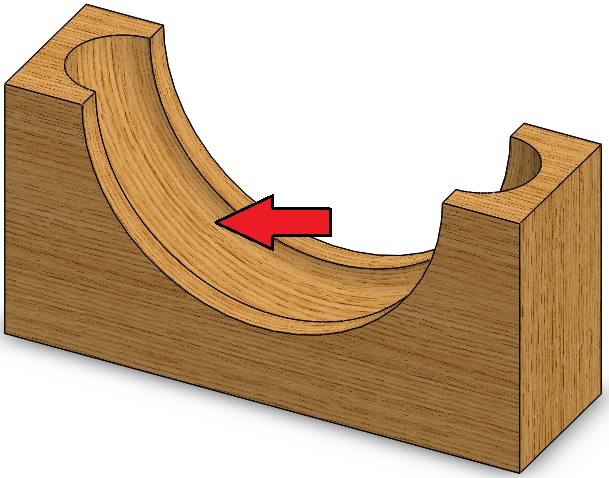 What are the tools for doing this type of circular groove? Some more context would be helpful. How large is the piece for example? What is it for? How accurate does it need to be? What tools do you have? 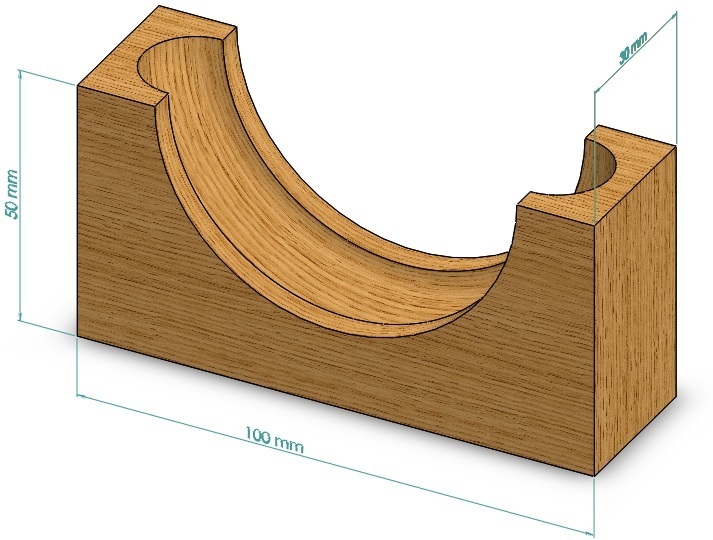 I would cut the main curve with a coping saw or bandsaw depending on the size of the piece and then finish it with a spokeshave, spindle sander, or router depending on how accurate it needed to be. I would then re-saw it into two thin pieces on the bandsaw (or tablesaw) and carve half of the groove in each piece with a router with a ball nose bit. Then I would glue the two pieces back together (after smoothing the mating surfaces). EDIT: I had a quick look and you can get a 'radius groover' router bit that would allow you to skip the re-saw and re-glue operations. Either way you would need to find a router bit the correct size. What will the radius of the groove be? 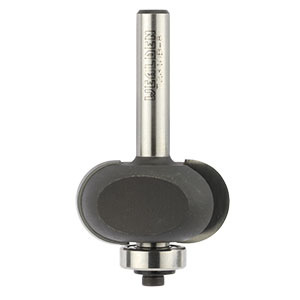 EDIT: adding a picture of the radius groover bit. Not the answer you're looking for? Browse other questions tagged tools router or ask your own question. How to keep a hole saw together? How do I use this hollowing tool?